Cirrus Fogging Concentrate that is oil-based and delivers fast knockdown and kill of a wide variety of flying and crawling insect pests. It is an alternative to products such as BP-300. Cirrus controls a broad spectrum of pests including stored product pests, cockroaches, ants, flies, mosquitoes, spiders, fleas, ticks and other household pests. In addition, it can be used in food and non-food areas and contains dual synergists PBO and MGK-264 to help the active ingredient work even faster and more effectively to kill target insects.Â It is recommended to use a respirator when fogging products such as Cirrus. Shelf life is 3 years in original packaging. 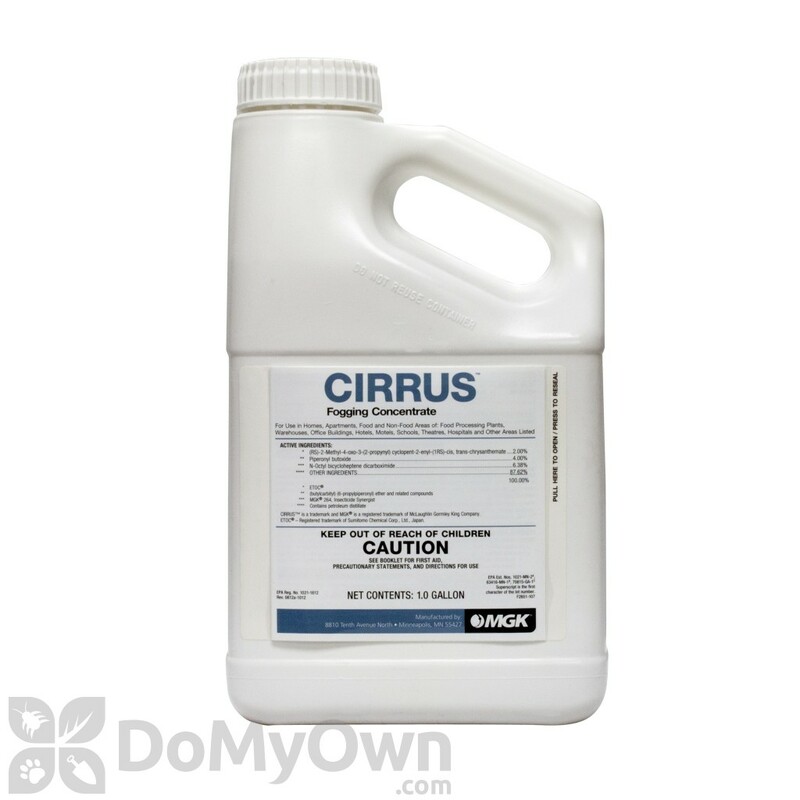 Cirrus can effectively delay the development of resistance. Is it feasible to use this concentrate with a B&G fogger? If so, how much should be used? Cirrus can be used with any fogger, including B&G Foggers. 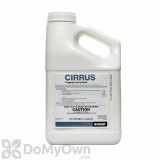 Cirrus can be used undiluted for most insects. Typically, the application rate is 1 ounce per 1000 cubic feet of space. Please read the product label for complete instructions depending on what insect you are treating. Can I use cirrus fogging concentrate with professional burgess fogger? We are not familiar with that fogger. Cirrus Fogging Concentrate is oil based and we would recommend contacting the manufacturer of your fogger to make sure Cirrus Fogging Concentrate will work in your fogger. Can Cirrus Fogging Concentrate be used with a propane fogger? Per the product label it can be used with ULV and other fogging equipment and mixed with oils for use in foggers with a larger particle size output. It does not specifically mention thermal/propane foggers on the label but we do not see why it would be a problem. To make sure you can contact the manufacturer of the Cirrus Fogging Concentrate which is MGK at 612-968-9474.